MidCal MINIs – Wee Bit Scottish? You are here: Home / MINI Blasts / MidCal MINIs – Wee Bit Scottish? Have you ever wanted to get in touch with your inner “wee bit of Scotland”? Well now is your chance. MidCal MINIs has been invited to participate in the Kern County Scottish Gathering and Games on Saturday, March 23, 2013 at the Kern County Fairgrounds in Bakersfield. The event starts at 9:00 am and ends at 5:00 pm. with the Ceilidh beginning at 6:00 pm. If you don’t know what a Ceilidh is, it is a traditional Gaelic social gathering, which usually involves playing Gaelic folk music and dancing. The event generally draws 3,500 to 4,000 people so this would be a great opportunity for others in the Valley to get to know MidCal too. Eventually the Society would like to include a British Car judging event similar to one held during the Ventura Scottish Games. 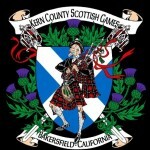 The Kern County Scottish Society was established in July 1971 and was formed to promote Scottish heritage and cultural traditions in Kern County as well as to gather for social functions. Some of these traditions include Highland Games, Highland and Scottish Country Dancing, genealogy, piping and drumming, tartans, Highland dress, and Gaelic, the native language of the Highlands and Islands. So if you hear the sound of the bagpipes, now is your chance to answer the call. 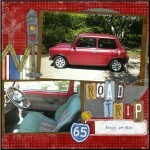 Email Tina at mcm@midcalminis.org by Friday, February 22, 2013 if you are interested in a Club Run to Bakersfield. 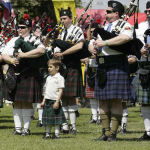 Why not be the start of a new tradition at the Kern County Scottish Gathering. This looks to be an event that Reggie was born to attend!